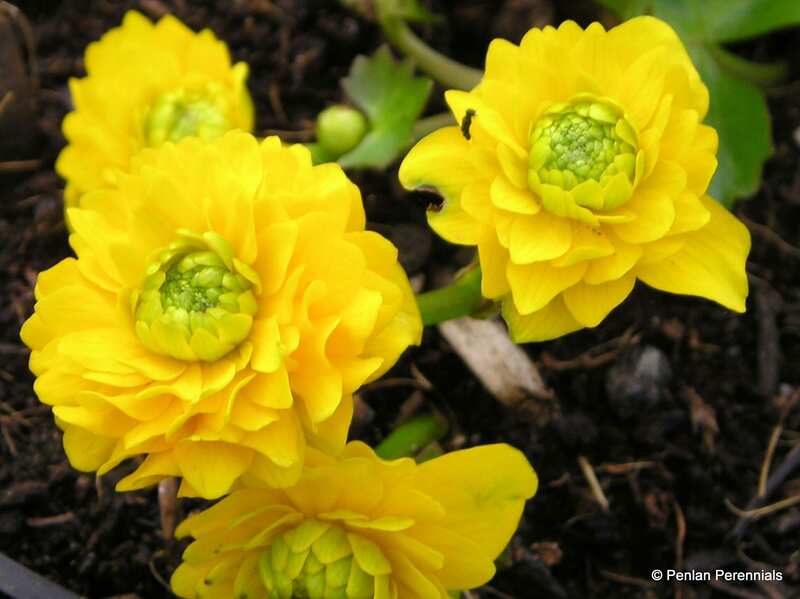 The double flowered Marsh Marigold has pom-poms of bright yellow flowers in late spring, reminiscent of an early dahlia. It is more compact than the single flowered form and does not seed, but is tolerant of drier conditions. It can be planted in moist soil or boggy conditions as a waterside plant, as well as being used as a marginal, and is well suited to small water features and small ponds. Tidy in spring by removing the old foliage and divide carefully to propagate as it is sterile and sets no seed. Plant as a marginal in up to 10cm/3in of water.